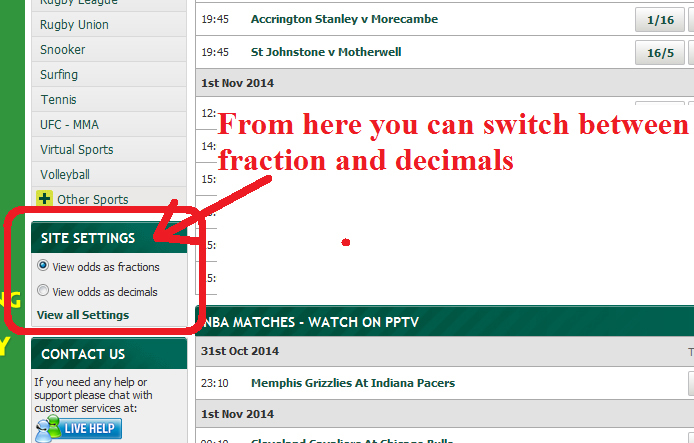 By default Paddy Power shows odds in fractions. how to change them to be decimals by default? This is a very genuine and painful problem which any new punter faces. Most of these new punters will waste plenty of time before discovering this simple feature which is obfuscated by poor website design and no investment in UI design at all. Even I had hard time finding these settings when I started using these websites first time. 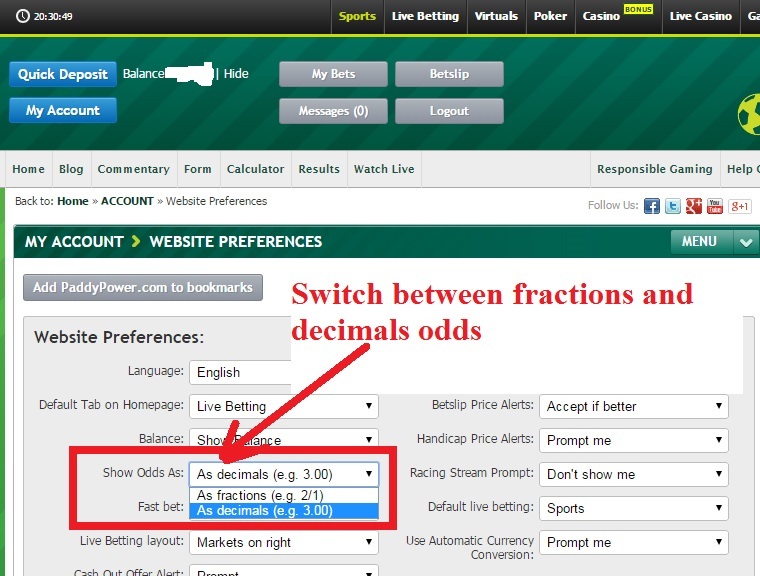 Here I’ll explain how to switch odds from fractions (default) to decimals. I’ll also explain how to change this settings in your account. Paddy Power remains one of my most favourite bookies, their website is the easiest to navigate and they have kept it pretty simple. But when it comes down to switching odds from fractions to decimals they failed. 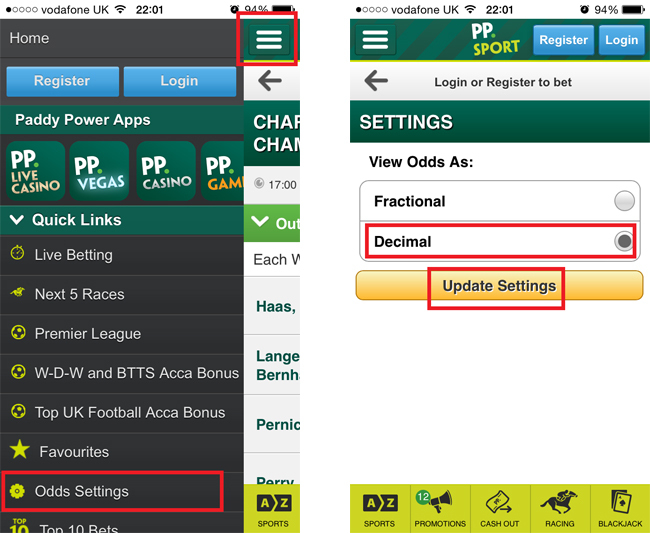 The option to switch odds between fractions and decimals is in Site Settings the left hand column below A-Z betting. Once you have changed the settings, it will remember it on your next visit provided you don’t clear browser cookies. There are many other website settings which you can customize to suit your need. Click on the menu icon at the top left column, it will expand and show menu items. 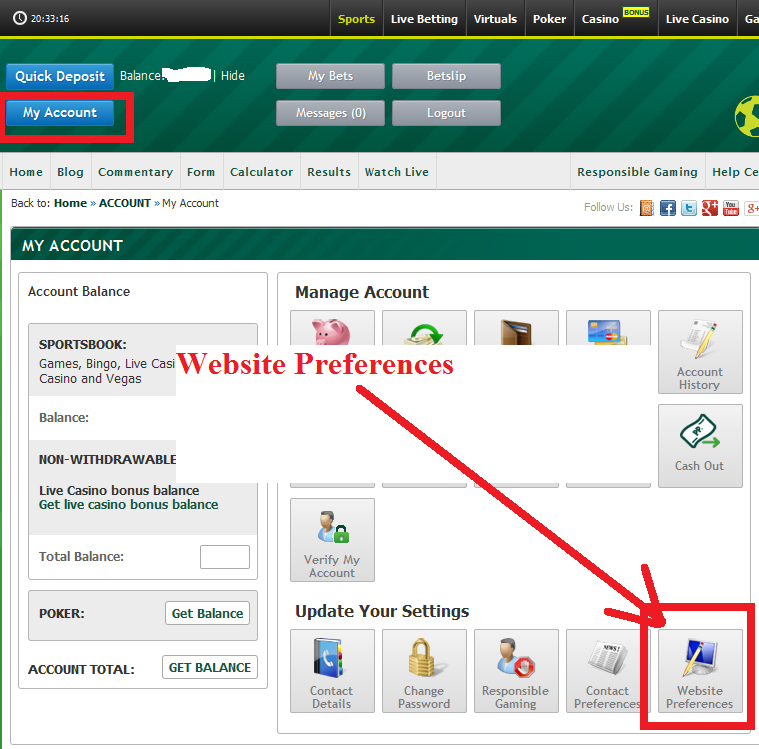 Click on Odds Settings and select odds settings as per your choice. Don’t forget to save the settings by clicking on Update Settings. Odds Settings might not be saved for longer time. Next time you start the app it will lose the settings and you have to do it again. I’m not sure if they fixed this bug or not. This is most annoying feature on Paddy Power iPhone app.